In the past month, I've noticed a heavy amount of pay-to-win underlying Nexon's events. Events like Marvel and the black friday boxes essentially go along the lines of "Pay Nx ----> can get a chance at extremely strong and/or rare items that completely outclass what players recieve in game through their own work"
But wasn't Nexon's intention this year to reduce pay to win? 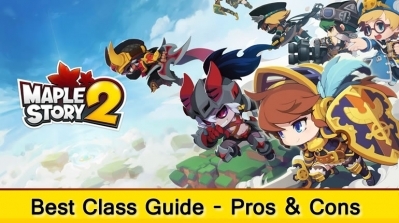 The following dissects Nexon's original statement about "A Better Maple" and why I think Nexon's recent actions are not following up on their state intent. Wall of Text Warning: I will be dissecting the value of some very controversial items, both receivable in game and exclusively receivable from NX methods, to players who are affected by them in game. Some items are only useful and affect veteran funded players, which is why I am painting a picture of how they work. If you are within the higher echelon of players who do know the value of these items, feel free to skip the analysis, here are 8 items to trigger you: Outlaw/Titanium Heart, No-Boom AEE, Tyrant Gloves, Ryudes Sword, Prime Scroll, Bonus Cubes and Cash Scrolls. Not sure how many other people have gotten these 100% golden hammers, which are only tradeable within account as well, on top of 90 day duration. Owl of Minerva purchasable by mesos - Indeed a great update on top of Buff Freezers, Safety Charms and other CS goodies. The aforementioned updates indeed affected the gameplay more positive than negative for sure. However, here are some problems we encounter into. A big drop rate increase for Master Craftsman’s Cube and Meister’s Cubes. These cubes will now drop much more frequently from a wide variety of popular bosses so you can get Cubes much more easily than before. A big rate increase of the rank-up rates for all craftable and purchasable Cubes. Now your chance of ranking up to Epic, Unique and Legendary is higher than ever before. BIG drop rate increase for Cubes - I've seen these drop rates fluctuate at best, but they have definitely dropped. How am I so sure? Because I always take screenshots when a cube drops from any boss, which I've been taking at least 5~6 a day killing every daily boss possible on top of Union trade, but now I've been barely doing so for 2~3 a day with same drop rate conditions over months (Wolf Underling familiar + 20% inner ability drop rate; drop rate potentials on equips don't affect non-equip items). Why have they gone down? Maybe it was deemed to high and we are buying less cubes, therefore Nexon wants the sales to go back up and hence they degrade on drop rates. I cannot comment on rank-up rates because that is something we will never know for sure unless Nexon releases figures. To this day, I am struggling to find these supposedly higher drop rate cubes and I have seen some unforgettable events going on making this game back to its original extreme pay-to-win state. Lightning God Ring - Many pros and cons to this ring, but one of the extremely rarest items in Marvel and for its price, it is not that cost-efficient, say compared to Gollux rings. these items by themselves are either not that game changing at all, or has zero re-sell values like the hearts, and are more than acceptable for being gambled with real money. However, Ryude's Sword - the most endgame equipment many Kaisers and other second-hand sword users want. This sword however, along with many other Tower of Oz items, was heavily rejected by the community (apparently not from your supposed poll) being introduced into the machine, since they had more than higher rate of gaining these items versus obtaining them through in-game efforts. This also discouraged many Tower of Oz players like myself, and the item value now has decreased tremendously due to the fact that there are more people with the sword than people who want them. For people who do not know how to obtain the Ryude's sword - you must at least pass F41 of Tower of Oz, and you can look on any videos; the fastest you will do so will be around 50 minutes minimum. On top of 10 min~ preparation times, and the fact that at maximum you can only get this Rank 2 box (or 1 which both drops Ryude's Sword) is 4 per day. Doing Tower of Oz not only requires you to be skilled in all of Maplestory Contents: Grinding, Luck, Damage, Jump Quests; but it all takes knowledge and vast amount of preparation and memorization to be able to do this. 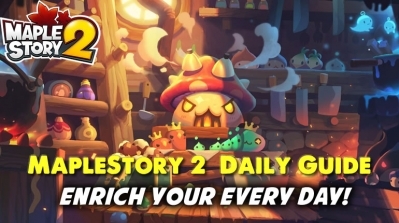 It is literally the most end-game content Maplestory has. From a KMS community source, the estimated drop rate of this Ryude's sword from this box is estimated to be 1~2%, analyzed from all the videos people took of themselves opening Rank 2 / 1 boxes and getting Ryudes or not. That is about 1 Ryude per 50 boxes; minimum 13 days of Tower of Oz, minimum 50 hours spent purely doing this Tower of Oz thing. Conclusion on Ryudes? It should have not been in Marvel, or its winning chance should've been significantly lower. 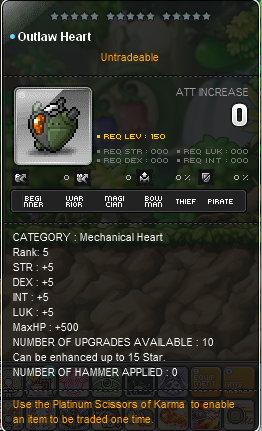 More Ryudes seemed to have dropped than LGR or Titanium Hearts in my server. How can unfunded players fund themselves through in-game contents to become stronger? I will be able to count the number of things they could do without running out of fingers to count (meaning less than 10, that is deemed effective), but all of them for sure will take efforts and time. How can funded players fund themselves? Pay. Pay a lot, and you will be rewarded Heavily to be able to fund yourself. Through introduction of over-powered items and almost-easy access to them, the game has become more and more encouraging about pay-to-win. So far, up to the Marvel update has been on a downhill regards to the first statement in my topic "A Better Maple", but it wasn't devastatingly game-changing or anything by too much; because Nexon needs to have Business and they can only survive by making us pay. What player appreciation? How did we feel appreciated? 30% off of limited sources of 1 item purchase? 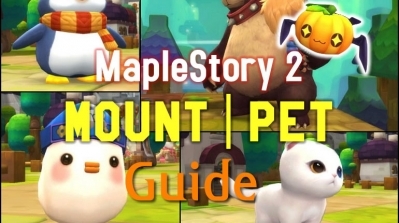 2500 maple points? Many people would've looked at it and said "that's it?" and my whole alliance was disappointed that Nexon called this "Player Apprecition Week". On top of that, here comes the new Black Friday Sales which heavily, heavily supported pay-to-win methods; A rank nebulites and top Magnificent Souls, then the Outlaw Heart. What in honest Earth's item is this? Where did "less pay-to-win" ideas go? This is straight up pay-to-win, nevertheless of all the crashes in CS and limited sources that were available literally for minutes while few people in the server hoarded the boxes. 3) USE PLATINUM SCISSORS OF KARMA TO MAKE IT TRADEABLE AGAIN - infinitely greater re-sell value than Superior Lidium Hearts or Titanium Hearts. Now came this new uber heart - Tradeable, more slots, higher level - more starforce potentials. If your intentions were to make "A Better Maple", this certainly is not making Maplestory any better; because this game is explicitly rewarding paying players and non-paying players are not as appreciated as the paying-players anymore. 4) Recent Gachapon patches slowly creeped more pay-to-win methods, which is honestly fine because this game will not survive without paying players. However recent Marvel update kind of broke the game back to its heavy pay-to-win state especially with introduction of Ryude's Sword - why spend efforts and time when you can just pay? 6) With the recent update, Maplestory has essentially gone back to its extreme pay-to-win state, or even worse. Where is Maplestory now going to? This "A Better Maple" definitely got me back into the game but now I am very reluctant to stay, because I refuse to pay another $1000+ while other people surpass what I've earned through hard efforts and extreme amount of time, simply by paying and using 1/10th of the effort and time.